OTTAWA -- The U.S. appears to be signalling that President Donald Trump's vow to aggressively promote a "buy American, hire American" agenda is not open to discussion during negotiations on a new North American Free Trade Agreement. The Trump administration has served notice that it's dealing with the issue outside NAFTA. While it's being pulled in one direction by Canada and Mexico, urging it to reduce Buy American rules for public-works contracts, and in the other direction by domestic U.S. politicians seeking an increase in Buy American, the administration has issued a reminder that it's working on a separate path. The U.S. government posted a notice seeking public comment on the costs and benefits of trade agreements on the operation of Buy American laws in government procurement, which appeared just as negotiators were huddled in Washington for the opening round of NAFTA talks. It flows from an executive order Trump signed earlier this year designed to make maximum use of Buy American rules. The order instructed government departments to perform studies within five months, with a report due to the president by Nov. 24. A notice is now inviting public comment for this report. The notice from the Department of Commerce and the U.S. trade czar has just appeared online and is to be officially posted on the U.S. federal register on Monday, seeking industry submissions by Sept. 18. Ohio-based trade lawyer Dan Ujczo says it's no coincidence that the notice turned up while NAFTA negotiators for Canada and Mexico were still in the U.S. capital. "It's a strategy," he said in an interview. "They want people to know that it's coming out." Both Canada and Mexico want to expand procurement obligations in NAFTA, giving their companies more opportunity to bid on major U.S. government contracts, particularly lucrative infrastructure projects at the state and local level. Canada's Foreign Affairs Minister Chrystia Freeland in a speech last week referred to the argument that these buy-local rules are poor public policy, driving up prices and resulting in worse infrastructure, and harming the economy: "(It's) political junk food -- superficially appetizing, but unhealthy in the long run," she said. But expanding procurement flies in the face of Trump's promise to bolster Buy American laws. One former U.S. trade official once responsible for procurement policy, Stephen Kho, told The Canadian Press last week that it's hard to imagine Canada making any progress on this. He said expanding foreign companies' procurement rights to state- and local-level contracts is always complicated and it's especially the case now, he said, in a political climate marked by a so-called "America First" presidency. Ujczo suspects American NAFTA negotiators now have an easy argument to make: that they just can't discuss procurement while the domestic process is ongoing. The cabinet officials will review submissions, and provide a report to the president by Nov. 24. "The issuance of this notice is a deliberate strategy for the USTR to then say, 'We can't really talk about procurement, it's a multilateral issue, it's much broader than the NAFTA ... and we have a process underway so we really can't put this on the table for discussion,"' he said. "So I think this is a way to essentially shut down that discussion...In my view, the U.S. is playing hardball on this issue." It's conceivable, but not likely in Ujczo's view, that American negotiators could use the notice to signal to their NAFTA partners that they might be flexible on expanding procurement, depending on the feedback they get from industry. Or, even more unlikely, they might be hoping that the feedback gives them political cover to agree with Canada and Mexico on the issue. 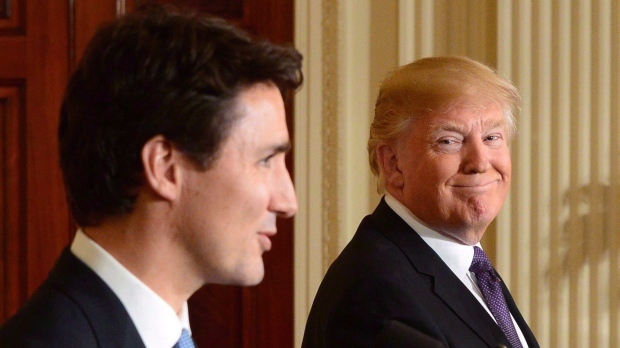 But if, as he suspects, the objective is to make procurement non-negotiable, Ujczo said Canada and Mexico will have to decide whether that's sufficient reason to walk away from the NAFTA talks. He doesn't believe they should. Indeed, he questions whether NAFTA is the best place to resolve the issue. Ujczo, who has clients in both Canada and the U.S., said Canadian provinces would be better off trying to negotiate reciprocal procurement agreements with individual states, through which most federal money for infrastructure flows. "This isn't something I would walk away from the NAFTA table for. I would just adjust my strategy for focusing really on the states."